Active, experienced traders will find a home at Interactive Brokers, whose platform facilitates access to US and international markets. Beginners and infrequent traders may be better served on other platforms, such as that provided by ETrade. Above all, Interactive Brokers has garnered a reputation as a low-cost commissions broker serving international markets. It rewards active traders with low costs, not just in its commissions but in its margin rates too. Its platform is highly advanced and provides access to almost every imaginable tradeable security but user experience suffers somewhat with such advanced and powerful capabilities. Interactive Brokers serves clients in Europe, USA and the Asia-Pacific region, and targets active, experienced traders by rewarding them with low commissions while penalizing infrequent traders with inactivity fees. Day traders, options traders, experienced traders and traders leveraging margin will find Interactive Brokers to be a superior platform. 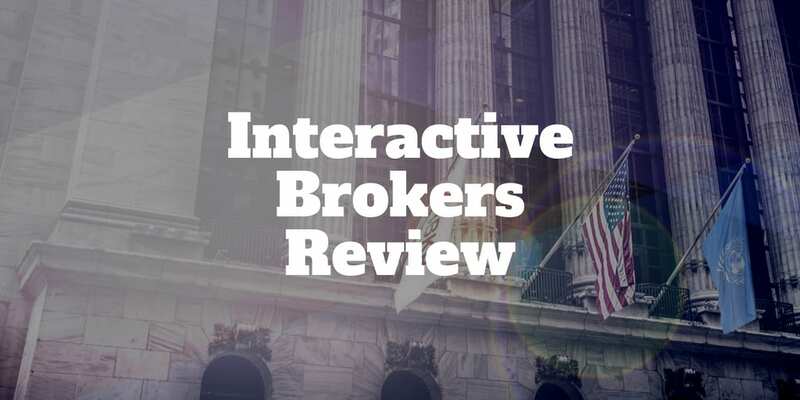 While Interactive Brokers does provide phone and email support, both fall short of the stellar support offered by low cost peers, such as TradeKing. However, traders who require little handholding will not find this shortfall outweighs the low commissions costs, powerful platform capabilities and virtually unparalleled access to international markets. Interactive Brokers has a powerful trading platform that provides access to international markets and rewards active traders with low commissions and fees but its powerful platform is not intuitive to beginner traders, and inactive traders will be penalized with monthly fees. ✅ Low Margin Rates: Margin rates ranging from 1.28% – 2.16% are extremely low and virtually without compare among rivals. ❌ Unintuitive Trading Platform: Trader Workstation, Interactive Brokers primary platform, is not intuitive and not for beginner traders. A simple search for a well-known security will frequently return numerous matches. However, where the Interactive Brokers platform falls short in user experience, it certainly compensates for in capability. ❌ So-So Customer Support: Although phone and email support is available, the 24 hour support is not available on Saturdays, support hours are vary by region and support quality doesn’t quite match what is available elsewhere like ETrade. ✅ No-Transaction Fee Mutual Funds: Approximately 3,000 no-transaction-fee mutual funds available. ❌ Limited No-Commissions ETFs: Only about 30 no-commission ETFs are available via Interactive Brokers but ETF screeners and research reports are available. ❌ Limited Research: While Interactive Brokers does provide solid education, research is lacking on the platform relative to peers such as thinkorswim. Plus, premium research and market data features frequently require subscriptions fees. Interactive Brokers has an extensive list of tradeable securities across asset classes, from currencies to futures, options to stocks, and globally across continents, including North America, Europe and the Asia Pacific region. Interactive Brokers makes 24 countries and over 100 markets accessible on its fast, powerful trading platform that deals in stocks, options, futures, forex, bonds, ETFs and mutual funds. Seasoned investors with account balances of at least $10,000 are rewarded for active trading with low commissions and margin rates. Beginner traders should consider other alternatives here.